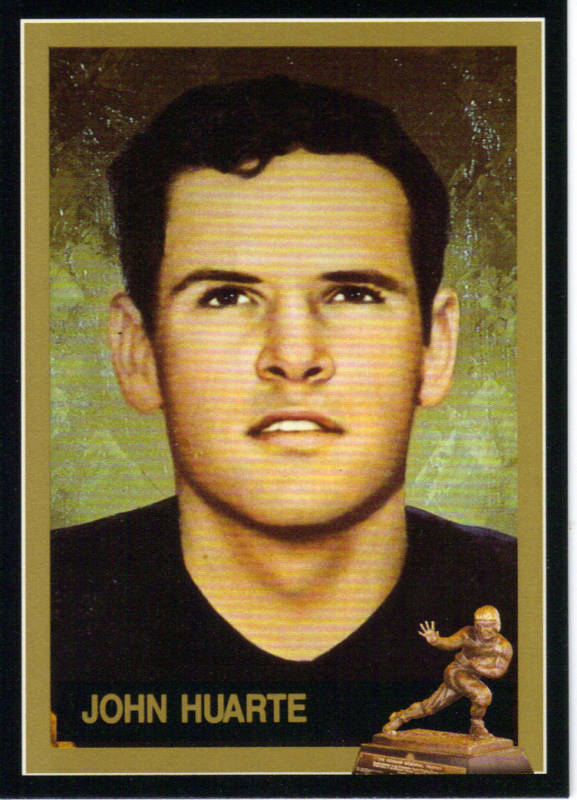 Heisman Trophy winner card of Notre Dame quarterback John Huarte, from the officially licensed Heisman Collection sets of the early 1990s. NrMt-Mt or better. ONLY TWO AVAILABLE FOR SALE. PLEASE NOTE: WE HAVE MOST OF THE OTHER CARDS FROM THIS SET FOR SALE, E-MAIL US FOR AVAILABILITY AND PRICING.